Dr. Haines is a clinician/educator whose scholarly work relates to the practice of pharmacy in ambulatory care environments – with a particular emphasis on practice evaluation, peer review, and implementation strategies. 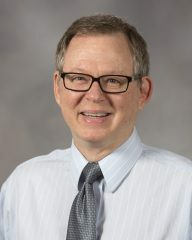 In addition, Dr. Haines has a strong interest in examining novel instructional methods that stimulate greater learner engagement (patients, students, residents, professional peers), the impact of coaching/mentoring on patient outcomes, and the use of instructional technology in health professions education/professional development. Specific therapeutic areas of interest include diabetes, anticoagulation therapy management, stroke prevention, and venous thromboembolism.